Abstract: Anti-N-methyl-d-aspartate (anti-NMDA) receptor encephalitis is a newly recognized, potentially fatal, but treatable autoimmune disease. Good outcome predictors include milder severity of symptoms, no need for intensive care unit admission, early aggressive immunotherapy, and prompt tumor removal. 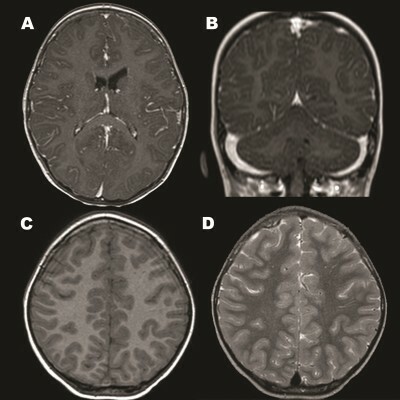 We report a case of a young girl aged 3 years 2 months and diagnosed as recalcitrant anti-NMDA receptor encephalitis without any underlying neoplasm. The patient had initial symptoms of behavioral changes that progressed to generalized choreoathetosis and orofacial dyskinesia, which resulted in 6 months of hospitalization in the pediatric intensive care unit. One year after initial onset of the disease, she had only achieved the developmental age of an infant aged 6–8 months in terms of gross and fine motor skills, but she resumed total independence in activities of daily living after receiving extensive immunotherapy and 28 months of rehabilitation. Our brief review will help clinical practitioners become more familiar with this disease and the unique rehabilitation programs.